Is one of my newest paintings. I took a photo of a blooming banana tree in New Smyrna Beach awhile back representing a lovely day eating ice cream under this tree. Then when I was painting it, a yellow rat snake found its way into my kitchen. So, I had to be brave and get it out. I did get it out of my kitchen but it ended up in my painting! 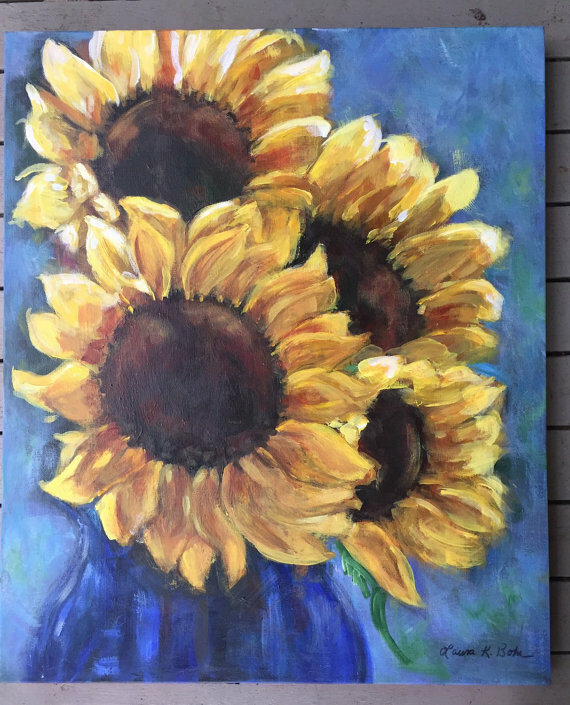 30 x 40 acrylic original painting on canvas with painted gallery wrapped edges. "Dance of the Passion Flower"
from studying the passionflowers on our fence. They reminded me of tiny dancers and so created one! 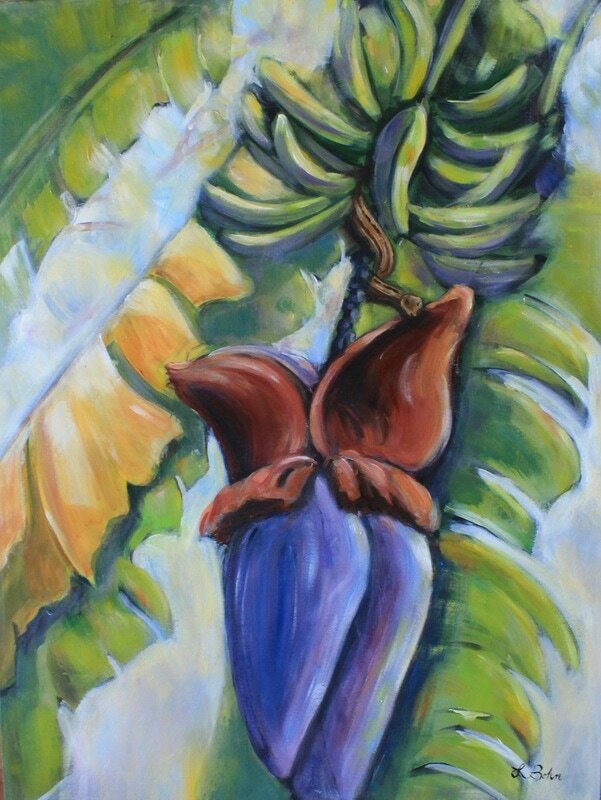 I am glad that a client understood that vision of the passionflower and has this painting in her home!